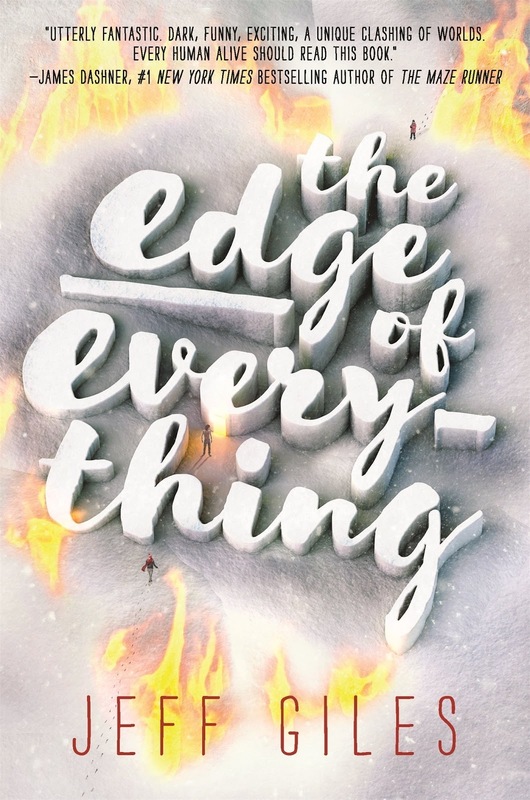 It’s been a shattering year for seventeen year old Zoe, who’s still reeling from her father's shockingly sudden death in a caving accident and her neighbors’ mysterious disappearance from their own home. Then on a terrifying sub zero, blizzardy night in Montana, she and her brother are brutally attacked in a cabin in the woods, only to be rescued by a mysterious bounty hunter they call X.
Zoe continues to mourn the loss of her father, losing his life after a tragic caving accident where his body has never been recovered. Her widowed mother providing for her children, having left the two siblings safe in their mountain cabin while gathering supplies in town for the approaching blizzard. As the blanket of white swept over the mountain, he appeared as a beacon of light, prepared to purge the world of our sins. As he prepared to capture a soul, the young, nameless man never expected to find Zoe and brother Jonah fearing for their lives. He isn't worthy of a name where he is summoned by the depths of the Lowlands, collecting souls from those who were never brought to justice. Until he bequests Stan's freedom. The Lords of the Lowlands do not look kindly upon clemency and as Zoe and the Bounty Hunter begin to explore their attraction to one another, this unknown variable will be forced to decide. His life of brutality and servitude or Zoe's existence. Seventeen year old Zoe is still grieving for her father, who died as a result of a tragic caving accident. I wasn't particularly a fan of Zoe's character. Although seemingly pleasant, I found her to be overly egocentric, perhaps mistaking her moxie for bluntness. Her relationship with younger brother Jonah was gentle but her use of language to describe Jonah was appalling. Spastic, which she explains how her mother won't allow her to use that particular term and an Attention Deficit Hyperactivity Disorder maniac, using dumb or psychotic to address other characters, which is partly why I found her character unappealing. I was appalled by the blatant animal abuse. I feel it was unnecessary and the inhumanity of this particular character could have been demonstrated without the use of cruelty to animals. Being an advanced reading copy, these terms may have be erased before release. Simply known as X, X was a wonderful character. Genuinely lovely but deliciously dark. X is a prisoner of the Lowlands, beaten and tortured until he can prove his worth by collecting the souls of heinous criminals who've escaped justice. Having never experienced kindness or affection, he's enamored by Zoe and after mere days, the young strangers have fallen in love. It's nauseating but thankfully both are separated swiftly. I enjoyed the hero and survivor connection between X and Zoe but the romantic aspects of their relationship felt incredibly forced. The concept was captivating but the animal cruelty scene was excessive and unnecessary. 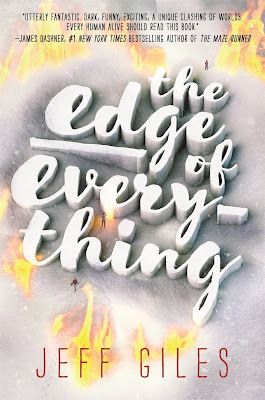 The Edge of Everything was a blend of paranormal romance, wildly imaginative and conceptually brilliant but ultimately left me hesitant whether to continue the series. "It's nauseating but thankfully both are separated swiftly"
I enjoyed the concept but the romance was really the least of it's issues. The ableist language and animal cruelty were just unnecessary and being so early in the book, I can imagine most readers won't be able to move past that. And rightly so. I keep being surprised whenever I see a review for this book. My brain keeps thinking contemporary romance but it's not. I don't handle reading/watching animal abuse well so I'll probably take a pass. I honestly thought the same Karen. Normally I wouldn't persist with a book that has animal cruelty but I had read so many glowing reviews. The concept was imaginative but I just found it had too many issues unfortunately. Hmmmm I might have give this one a miss! Sounds like i'll be vomiting over the insta love or getting aggravated by the animal cruelty. Whenever animal cruelty is involved, especially when it's one of the few roles the animals are involved in within the storyline, it felt as though it was the only reason they were included. It was just unnecessary. I wouldn't recommend this to animal lovers without warning and feel so many readers may be distressed by that particular scene. Omg...I have this to read next but animal cruelty?!? Ugh that's something I literally feel sick over reading. *goes to go bury self in a hole* And I'm not liking the sound of Zoe and how she calls people spastic?!? Seriously?!? I'm glad there were still other things to enjoy in it, though. I SHALL BE BRAVE AND READ IT SOON. It didn't need to be included. I think when it comes to sinister characters, there are better examples and we don't need to include animal cruelty to show the maliciousness of a character. Although I enjoyed the storyline overall, that aspect in particular really did upset me. I am hesitant about YA paranormal books (you see I have developed an almost exclusive taste for angels and nephilim and warlocks). I love how you call out the instalove as nauseating. Thank you. I don't know, I get the feel that this book was slightly awkward? The concept was brilliant but in the beginning, it had too many issues. Ableism, instant love and animal cruelty. which I can imagine there will be readers who won't be able to move past that. I've heard mostly negative things about this one, so I don't think it's for me. Sorry you didn't like Zoe either! Reviewers seem pretty torn from what I've seen Lauren. They've either loved it or loathed it. I'm in the middle, I enjoyed it but it had a few glaring issues that I struggled with. i've heard such mixed things about this book so i am really unsure about whether i actually do want to read this or not! but i gotta say, the book itself, especially with those orange pages, is gorgeous! I haven't seen the orange pages as yet. The concept is really unique and I enjoyed it for the most part, but too difficult to move past those issues I'd found. It's one of those books that will divide readers. I'd be interested to see what you think of it Anisha if you decide to read it. Wow, feelings for this book seem to polarized. I've been mostly avoiding this genre lately, so I'll probably continue to avoid this book. There's a few discussions around about this one at the moment Christy, some readers have loved it and others have had issues like myself. I can see how excessive violence can really spoil the read. I am not comfortable with such books either. Don't continue with the series if you are unsure. I'm in two minds about it still Resh. While the book got significantly better after that, it still affected me unfortunately. I think it was mainly due to her use of language. I know even when I was a teen, you tend to use throwaway slurs but she kept constantly doing it. That with the animal cruelty, it was unnecessary. It's a shame, because this would have been a solid four star read otherwise. The instant love could have been brushed over if not for the other issues. The animal cruelty is just one scene though, so a lot of readers haven't picked up on it. It probably depends how sensitive you are. I don't want to tell anyone not to read it as it's quite an entertaining read, but more so a warning as to not upset readers who may find those aspects upsetting. PS: I hope you're feeling better! I think a lot of readers are feeling the same way when hearing about it. Thanks Verushka, I'm getting there. Thanks Prabhleen. It was a difficult book to review. Although I enjoyed it overall, I thought it was important to inform sensitive readers about the issues so they can choose whether or not to give it a read themselves. This cover have such strong contemporary vibe, I was surprised it’s actually a fantasy. The concept sounds interesting, but I’m not happy to hear about animal abuse, thanks for warning. I struggled with that aspect too Ksenia. It's only the one scene but towards the beginning. It's more so a paranormal romance rather than fantasy. The concept was brilliant, the issues held it back. Won't read the book - I don't think I will get along very well with Zoe. She really rubbed me the wrong way Michelle, the use of language especially. She did grow and become more likable throughout the storyline. I was excited about this one, but when I heard about the animal cruelty scene and other problems it had, I decided not to pick it up. Thanks for highlighting that Kelly!